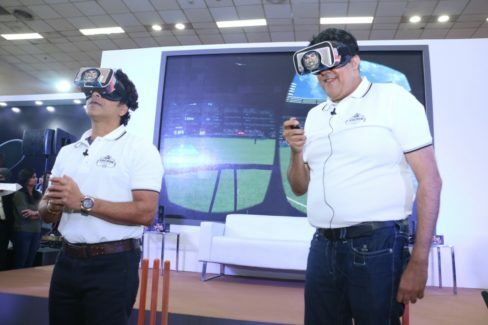 Delhi, February 4, 2019: JetSynthesys, a leading digital entertainment and gaming company, today launched India’s first Multiplayer Virtual Reality Cricket Game – Sachin Saga. 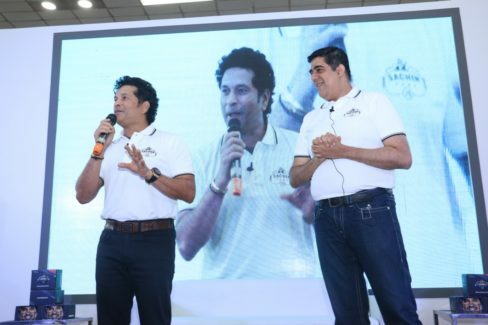 The Master Blaster, Sachin Tendulkar, unveiled the Sachin Saga VR Limited Edition Headset and the Sachin Saga VR Game along with Mr. Rajan Navani, Vice Chairman and Managing Director, JetSynthesys. Launched at the CII India Gaming Show (IGS) – a three-day international gaming, animation and infotainment event in New Delhi, the event saw thousands of gamers line up to experience Sachin Saga VR, engaging in exciting head to head matches to win VR Headsets signed by the Master Blaster himself.